I thought I'd just put up a few pictures of things I've tried recently. 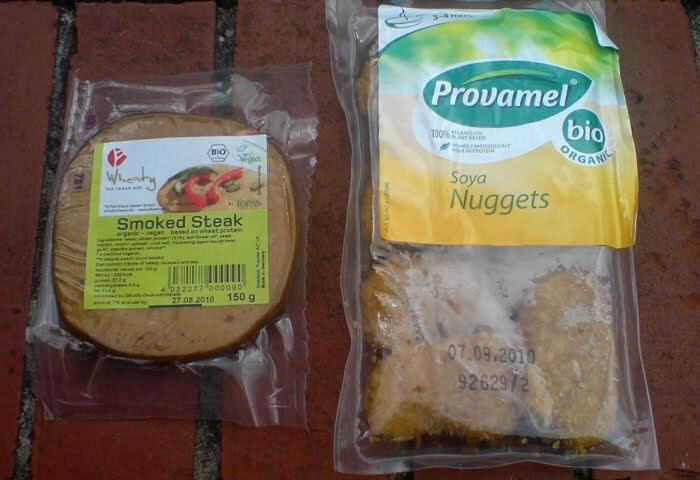 These 'Provamel' Soya Nuggets were quite nice, not too expensive either, and good to have as a snack with a dip. I don't think I'll be getting them again anytime soon though, but I'd recommend them to someone who loves their quick and easy finger food. 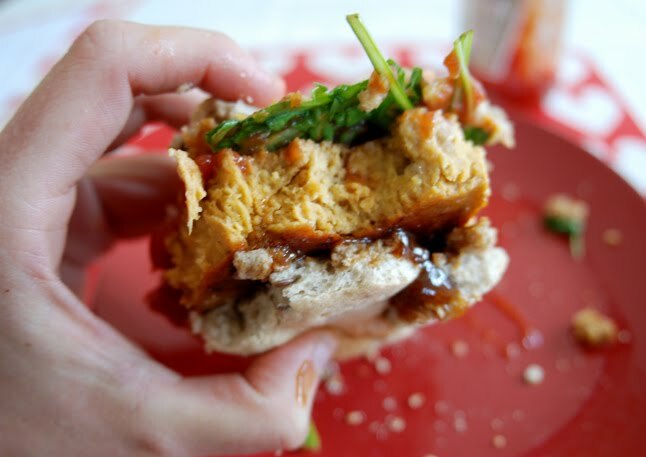 The 'Wheaty' Seitan Steak I bought last week was AMAZING and very filling and meaty in this little bun with BBQ sauce, tomato sauce, homemade refried Mexican beans and rocket. 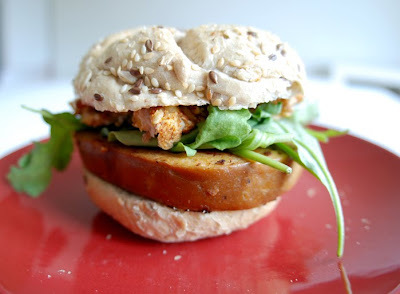 Even though the seitan was super tasty (somewhat akin to a frankfurter/smoky hotdog), I don't think I'll be buying it again because it was so expensive at €3.50 for the burger-sized portion. I've seen a much bigger block of it somewhere in town (if only I could remember where! Maybe Down to Earth on George's Street?) for around €7.50, which is much better value as there's about 3 times as much in that packet and it could be sliced thinly too for luncheon meat. The burger-sized slice was a little too thick for my liking as it was a struggle to finish when combined with the bread roll and all the other ingredients, but I assume someone with a normal-sized appetite would probably think it was just about right (I have a little tummy!). I definitely want to buy some again soon though, if I can find it somewhere cheaper, as it was the nicest burger-in-a-bun I've had for a long time. 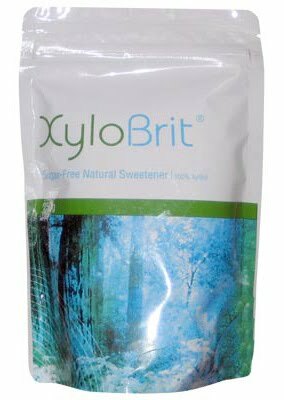 A product which I've used a lot recently, that I get from the Hopsack in Rathmines, is Xylitol. It's an all natural low-calorie and kind-to-your-teeth alternative to sugar. It pretty much tastes exactly like sugar too, the only downfall is that it's quite expensive at €3.75 for a small bag. I only ever use it in cooking or in porridge though so it lasts me a good while. 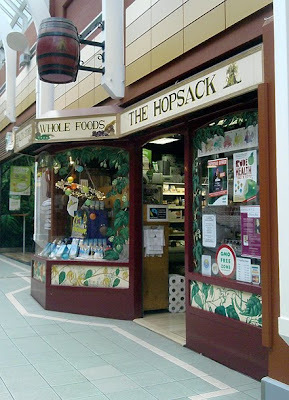 I love the Hopsack so much, it's a really tiny shop but is packed with so many cool products. 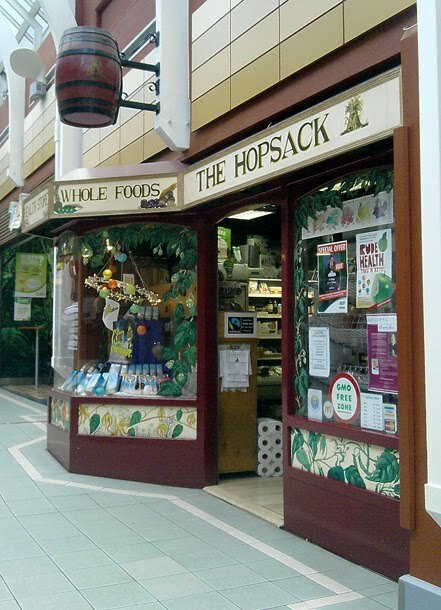 They have a fridge full of dairy and meat substitutes and ice creams, sprouted beans from The Happy Pear in Greystones, raw chocolates from Natasha's Living Food, loads of seeds, nuts, dried fruit, cereal bars - anything you could ever want! The staff are so friendly and helpful too. The Tofu Pizza slice, Carrot & Arame Strudel, and Yellow Split Pea & Celeriac Soup from Blazing Salads pictured below were a bit of a mixed bunch. 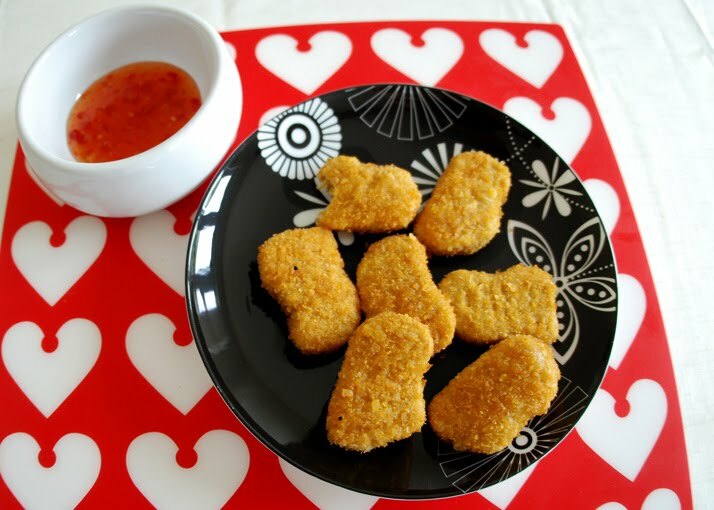 I thought I'd never fail to be impressed with their food, but I was wrong. The pizza slice was very greasy and the basil pesto was overpowering. 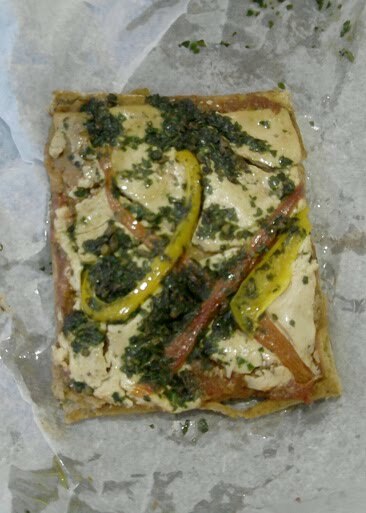 The tofu topping was also quite bland (which could have been the reason for laying the pesto on so thick) but towards the end of the experience actually started to taste quite cheesy. I think I probably just wasn't used to something so strange on a pizza. I really do prefer the refried beans they use in Hell. It was also VERY oily and wasn't wrapped up properly so the oil got all over the place! I don't think I'll be getting it again, although if you like that kind of thing was it good value for €2.95 and quite filling. I ate it cold, so maybe it would have been better warm. The Strudel is another savoury of theirs that I won't be getting again. Totally not worth the €3.05 I paid for it. 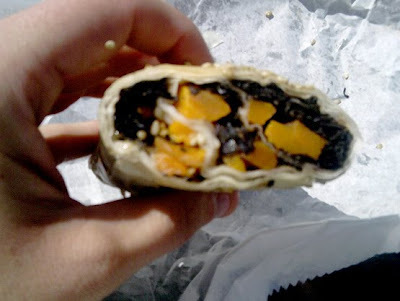 I'd only recommend it if you like seaweed, because this literally was just a load of arame and a bit of carrot wrapped in some filo pastry with some sesame seeds sprinkled on top. Even for someone like me who loves sea vegetables, it was quite strong and salty. However I did really like the flaky pastry, and I guess as seaweed is so good for you nutritionally it was a healthy option. 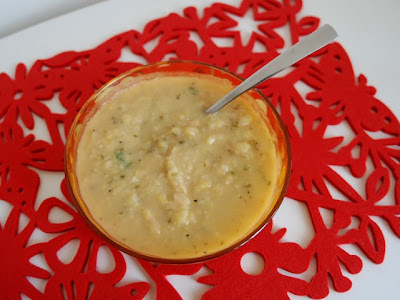 Their soup was, again, another hit. The yellow split peas tasted similar to lentils and it was thick and flavoursome. I'd definitely buy it again. 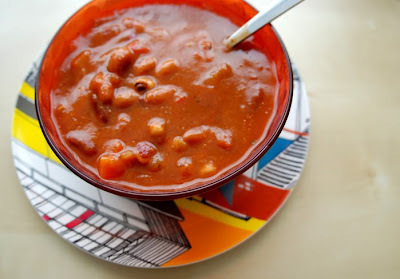 I wasn't expecting much of the M&S Vegetable & Bean Chilli Soup, but I was surprised because it was actually really nice! It did just taste like a watered down version of my own Mixed Bean Chilli though, so I don't think I'd buy it again as I could just make it myself.